I am very fortunate to have a group of very talented friends who support Building Trust and constantly think of new ways to help promote the charity and raise further funding for our projects. One of my friends whom I went to high school with many moons ago is Hannah Bailey. 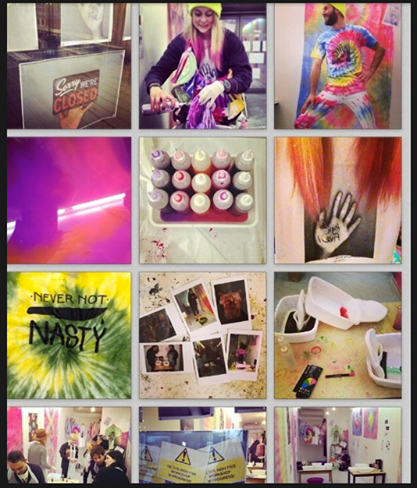 Hannah recently set-up a very exciting and colourful new PR and creative agency called Neon Stash. From corporate to core brands, unique local projects to giant global events her agency documents all things creative in the skate, snow and surf world. A few weeks ago Hannah contacted me with the idea of throwing an event to help promote Neon Stash while also raising funds for Building Trust. As both of our brands create exciting projects around the World, it seemed like a great collaboration. 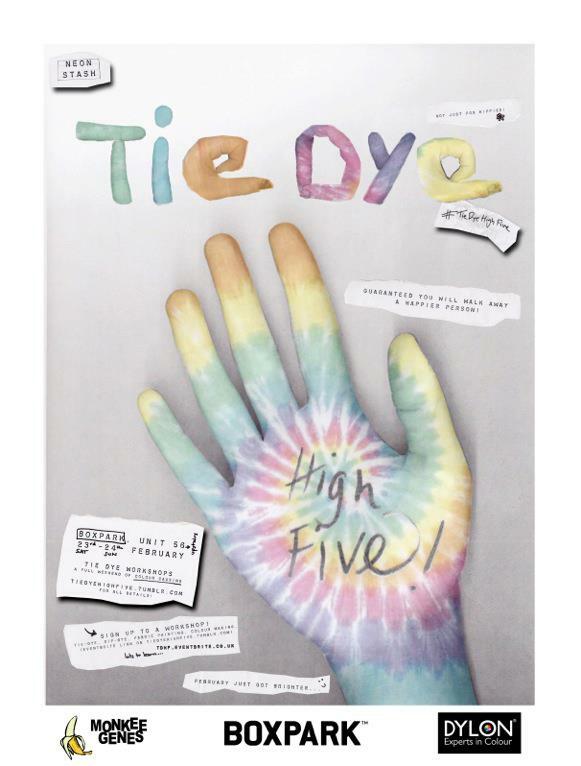 Neon Stash came up with the idea for a creative event called #TieDyeHighFive. 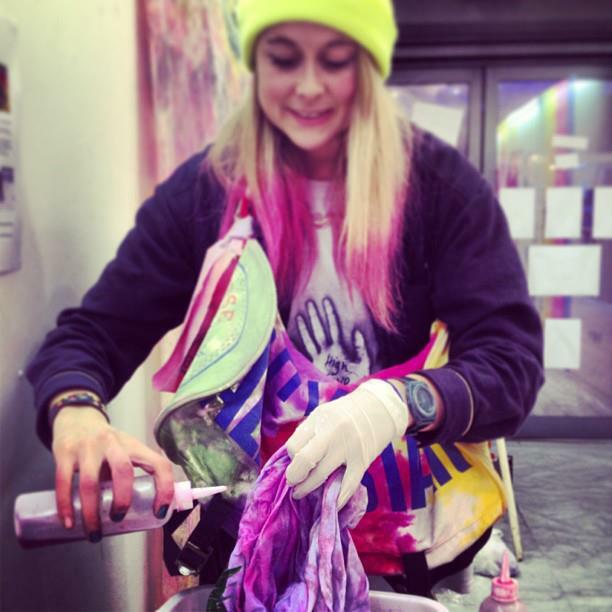 ‘Tie Dye High Five’ created the first ever pop-up Tie Dye event to be located at BOXPARK, Shoreditch. The colourful weekend, was sponsored by DYLON and Monkee Genes, and saw hundreds of creators come to tie-dye, dip-dye or DIY on their chosen canvas. 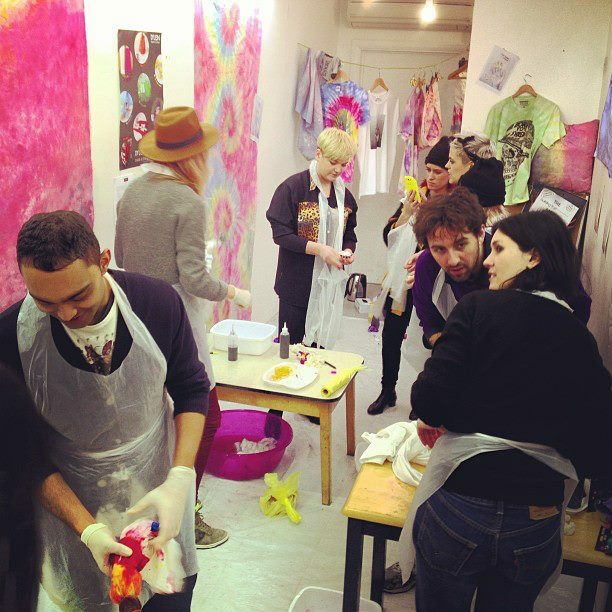 Neon Stash held weekend long workshops where participants could pay to attend the workshop and bring their whites to tie dye and create some new colourful clothing! The launch night held a raffle with prizes donated by Monster Energy UK, DC Shoes UK, Nikita Clothing, Love N Skate and COPSON ST. Monkee Genes who co-sponsor the event also provided 70 pairs of white jeans which Neon Stash were able to sell at the event with £5 from each sale being donated to Building Trust! We would like to thank all of those who donated and to the Neon Stash team who spent the weekend promoting Building Trust while getting colourful! I have just received great news from Hannah that we raised over £150 over the weekend. This funding will help to assist in the many Building Trust projects which are currently taking place around the World. At the event we asked Neon Stash to use our JustTextGiving campaign so the workshop attendees could donate in the easiest and quickest method. In order to donate via JustTextGiving please text FUND41 £10 to 70070 from a UK mobile. If you are in need of PR assistance or creative development we suggest you get in contact with Neon Stash and create an exciting event for your organisation!